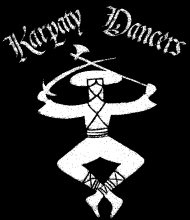 The Karpaty Folk Ensemble was founded in 1972 by Artistic Director Vonnie R. Brown. The group's repertoire includes a wide range of international dances, with emphasis on dances from the ethnographic region called the Carpathian Basin. Over the years, the Ensemble has made a tremendous contribution to the Baton Rouge arts scene. It performs regularly at a variety of Louisiana State University and community events, and has also appeared in Lafayette, Thibodeaux, St. Francisville, New Orleans, San Antonio and Rosenberg, Texas. It works closely with a number of Louisiana ethnic communities and performs regularly for the Hungarian Harvest Dance in Albany, Greek celebrations, German Octoberfest, the Scottish Caledonian Society, the Southern Association of Lebanese and Syrians, and various Czech communities in Louisiana and Texas. The Ensemble has also gained attention abroad. Because of its concentrated study of dances from the Slovak and Czech Republics, in 1987 and 1993 it received and accepted official invitations from these republics to participate in seminars and to give performances in various towns and at the renowned Detva Folk Festival. The Ensemble's repertoire is varied and attention is given to preserving authenticity but at the same time making the dance artistically interesting. Efforts are made to attain that elusive marriage of theater and purity of tradition, to inform as well as entertain. Artistic Director Vonnie R Brown travels annually to Central and Eastern Europe, particularly to the Slovak and Czech Republics, to research and collect original material which is later transformed into new choreographies. Also, guest folkographers from the U.S. and abroad are contracted to set new choreographies for the company. Costumes worn by the dancers belong to the dancers, Karpaty, and to Ms. Brown's private collection. Whenever possible the group wears traditional costumes secured in various European countries. When authentic costumes are unavailable, reproductions are made after careful research and design.